A-Plan Insurance is delighted to be supporting AFC Wimbledon. We are very happy to be continuing our longstanding relationship with AFC Wimbledon and have improved on our previous commitments by enhancing our offering below. We hope this will be a great opportunity to support the club financially and make great savings on your own insurance needs. In addition to the great offer, our annual prize draw competition is entering its 6th season & we have an amazing prize for the lucky winner with this year's prize being a "VIP Match day experience for 4 people including champagne reception" to enter the draw and have a chance of winning this great prize just submit your details. We look forward to helping you, the fans, with great deals on your insurance policies - and to make a substantial donation to this great club in the process! 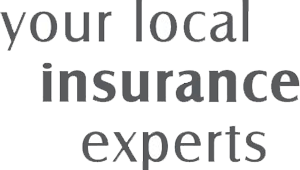 "AFC Wimbledon is thrilled to have A-Plan insurance in Wimbledon as one of our valued corporate partners. The fact that A-Plan has a branch in Wimbledon town centre makes them really accessible to our fan base. And we really appreciate their generous offer to pay the club £50 for every new policy taken by a Dons fan"
Here's how we helped last year's winner of the VIP Match Day experience. "I was really delighted to hear that I had won the A-Plan Insurance draw this season! I discovered A-Plan through their sponsorship a few years ago, they managed to get me a much better deal on my home insurance and over the years I've used them for all my home, car and life insurance. They have always been super friendly and helpful and I'm really happy with polices and services they have provided." Participation does require the provision of the individual's name, address, telephone number and/or email address (not applicable to under 18's). A-Plan will retain your information to inform you about our products and services occasionally and will not pass your details on to any third party. The prize draw will be made on 28/04/17 and announced on the 30/04/17. Winners will be informed via telephone and/or email, prize presentation will be made at the final home league game of the 2016/17 season. One entry per person. The name of the winner of the prize will be available on application to: A-Plan Insurance, 52 Wimbledon Hill Road, Wimbledon, SW19 7PA.